Our love of Burgundy at The Wine Company is well known, and that love of top notch Pinot Noir has led us to naturally embrace the wines of Oregon with a passion, including such great producers as Argyle, Bergstrom, Domaine Drouhin, Eyrie, Left Coast Cellars, Bethel Heights, Owen Roe, Penner Ash, Solena, Saint Innocent, Torii Mor, and more. It’s quite a portfolio, covering an entire range of styles and personalities. Learning about Oregon Pinot Noir used to be difficult without visiting there (which, in the end, is the best way to learn about any wine region). 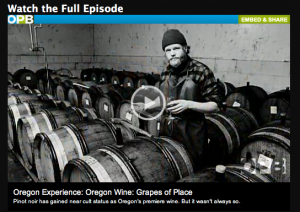 But the next best thing has happened for Oregon wine: none other than Oregon Public Broadcasting has produced an incredible hour long show highlighting the story and the people behind the Oregon wine industry. One of the best parts of this documentary is telling the incredible story of Eyrie Vineyards. Interviews with Diana and Jason Lett, and footage of David Lett in the 1960’s and 70’s, helps with understanding the context of what he was up against. 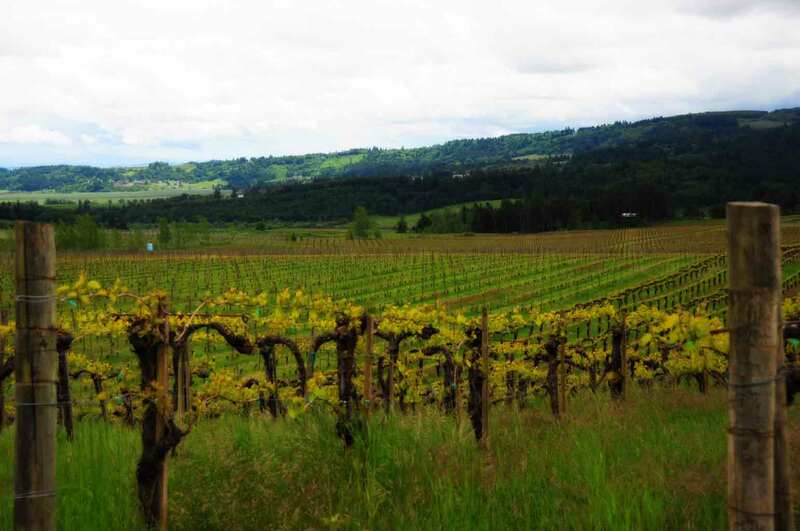 Knowing his story, and the story of many of the producers profiled, simply makes Oregon wine taste better (context is key in wine, a subject of a future post). In today’s “sound bite” society, it’s rare to find anybody with the patience to sit down and watch an hour long documentary on their computer. But trust us when we say this: if you want to understand Oregon wine further, this is a must see.